When gubernatorial candidate Rob Astorino announced his family was opting out of state ELA tests this week, the response from Regents Chancellor Merryl Tisch was swift and stern: "If you are against standards, you are contributing to our decline." Turns out that by "our decline" she may have meant something peculiar. This year's 8th grade ELA had a passage on the existence of Bigfoot. In the unbiased article, experts cited evidence for and against the existence of the species. A multiple choice question asked the reader to point to the most convincing evidence supporting the argument that the creature was real. Faced with choices like footprints and DNA tests, one test taker admitted he found some of it to be quite compelling. No wonder Tisch was so concerned about the Astorino children opting out. Clearly, they've not only missed out on some standards-setting nonfiction but they may very well have contributed to the decline of our most beloved hominoid cousins. As for student lobbyist Governor Cuomo, he cannot brook any dissent on the matter of teacher accountability. Clearly some college-and-career-ready skills are required for this analysis and teachers need to be rated on how well they've inculcated them. Um, clearly the purpose of the "Bigfoot question" is to test whether students HAVE THE ABILITY TO CRAFT ARGUMENTS, regardless of the truth or falsity of their position. This is a school useful in MANY, MANY professions, including law, academia, politics, and journalism. It also directly implicates critical thinking and persuasive writing. 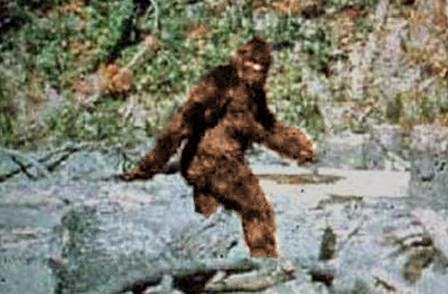 I highly doubt the test is out to convince people that Bigfoot lives. Well, no, because there was no writing involved. Day 1 was multiple choice only. My point was that if Common Core is supposed to be about close study of important texts, then that didn't really pan out here. If the idea was to have students assess how an objective account of some controversial issue was handled, then the test authors might have availed themselves of some award-winning journalism or some other credible nonfiction. That would have constituted an elevation of standards over previous practice. It also might have elicited some response from the test taker other than "it was so stupid". What? Bigfoot doesn't have sleeves? Anonymous- I could agree with you had this been a creative writing task or essay question. As stated above, there was 1 right answer. So if you think creatively, as many of our journalists, authors, artists, and musicians do, you most likely would have chosen the wrong answer. Please get your facts straight. Even though anonymous, you look silly.